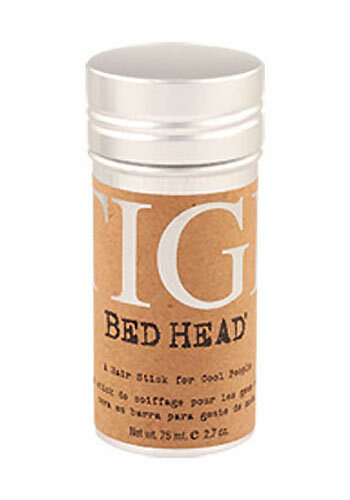 Instantly creates texture and hold to your hair with TIGI Bed Head Wax Stick. It is soft and pliable and can be used to smooth fly aways leaving no build-up. Whether you want a cool spikey look or a jagged look, this TIGI Bed Head Wax Stick will give your hair a Semi-matte and cool finish. Apply to dry hair. For short hair (2 – 3 inches in length), apply in a circular motion over entire head. Shape to achieve a spiked look. For medium to long hair, flick through layers or ends for a jagged look.